Restoring the heritage houses of Hoi An Ancient Town, a UNESCO World Heritage site is necessary, but the funds needed to restore 62 houses have dried up. Eighteen out of 21 old houses in the town are worm-eaten. 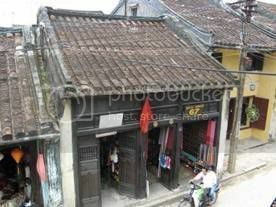 The house No 84 Tran Phu street, a typical house which is as valuable as Cau Bridge Pagoda is now seriously worm eaten. Ms Hoa, the owner of the house said they are waiting for assistance from the authorities as they can not afford for the conservation of such a valuable in heritance. Also according to the Hoi An conservation centre, in 2006 and 2007 only, 30 houses were restored and 25 other are underway. At present, 62 sites and old houses are in need of being restored but now money is a problem. The total investment of the conservation is expected at up to VND 48 billion.